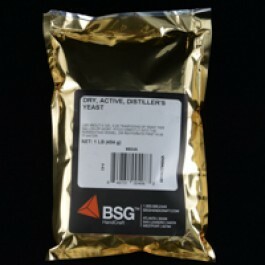 A specially selected strain of Saccharomyces Cerevisae designed for distiller’s use in grain mash fermentations for ethanol. DADY will produce maximum alcohol yields under controlled temperatures (less than 90 °F, 32 °C). It has been the choice of many producers in North America for over 20 years. It has been used for the manufacture of light spirit and Whiskeys. It is also used on corn mash and syrup fermentations.